On a seemingly uneventful day at school, suddenly the very powerful Book of Legends is stolen. The DC Super Hero Girls: Wonder Woman, Batgirl, Supergirl, Bumblebee and the rest of the Super Crew work to uncover the mystery. While journeying through the depths of the ocean to Atlantis, the girls encounter Mera and Siren, ocean-dwelling thieves who give them a run for their money. The DC Super Hero Girls must band together and use their collective powers to recover the stolen book, return to land and get back to class! DC Super Hero Girls: Legends of Atlantis features some of the top voice actors in the industry including Grey Griffin (Wonder Woman), Tara Strong (Harley Quinn/Poison Ivy), Anais Fairweather (Supergirl), Mae Whitman (Batgirl), Teala Dunn (Bumblebee) and Stephanie Sheh (Katana). I love how this movie helps spread the message of female empowerment, encouraging young girls and boys ages 6-12, to explore their own strengths and powers. The franchise also encourages teamwork, friendship and empowerment to its young fans. 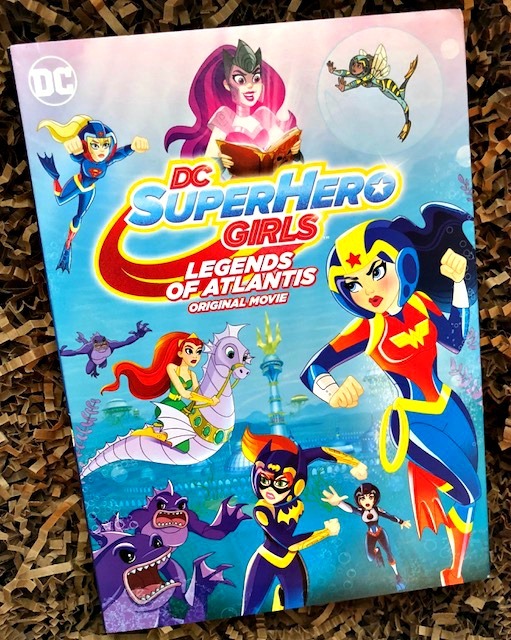 Everyone can connect to DC Super Hero Girls: Legends of Atlantis through DCSuperHeroGirls.com, the DCSHG App, YouTube Channel and Instagram, as well as a global licensing and merchandising program. DC Super Hero Girls: Legends of Atlantis is currently available to own on Digital. All the episodes can be instantly streamed and downloaded to watch anywhere at anytime on your favorite devices in high definition and standard definition. Various digital retailers including Amazon Video, CinemaNow, iTunes, PlayStation, Vudu, Xbox and others. 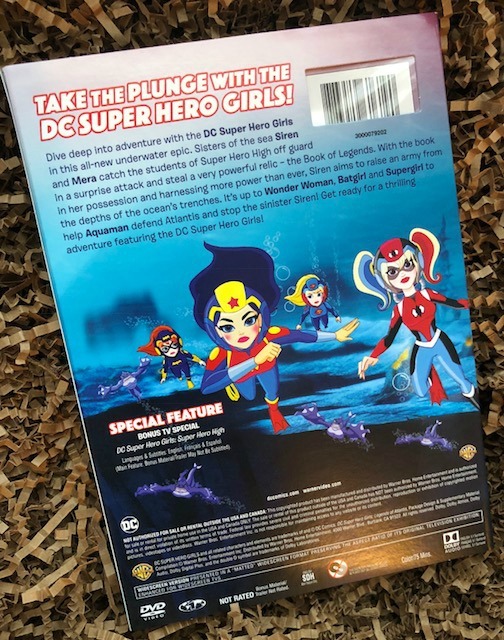 DC Super Hero Girls: Legends of Atlantis will be made available digitally on Video On Demand services from cable and satellite providers, and on select gaming consoles. Warner Bros. Home Entertainment (WBHE) brings together Warner Bros. Entertainment’s home video, digital distribution and interactive entertainment. They maximize current and next-generation distribution scenarios and is an industry leader. Since its beginning, WBHE has overseen the global distribution of content through Blu-ray Disc™, DVD and digital media. DC Entertainment is home to iconic brands DC (Superman, Batman, Wonder Woman, etc. ), Vertigo (Sandman, Fables, etc.) and MAD. This creative division is charged with strategically integrating across Warner Bros and WarnerMedia. They publish thousands of comic books, graphic novels and magazines each year. DC Entertainment is one of the largest English-language publishers of comics in the world. Warner Bros. Animation (WBA) is one of the leading producers of animation in the entertainment industry. They produce and develop projects for multiple platforms, both domestically and internationally.